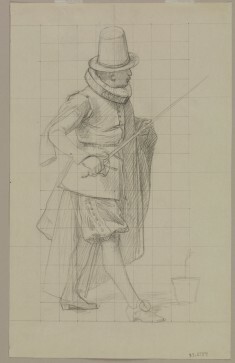 Description This drawing of a Dutch aristocrat valiantly defending a lone potted tulip is derived from Gérôme's painting "The Tulip Folly," of 1882 (Walters 37.2612). 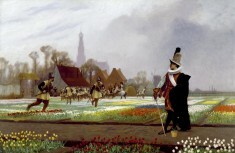 As it was reproduced by means of photoengraving and widely distributed, the painting was well known to the public. Discerning collectors would not be content to have a mechanical reproduction of an original work, but might ask the artist for reductions, variations, or, as in this case, an excerpt of a figure or group of figures from the original work. 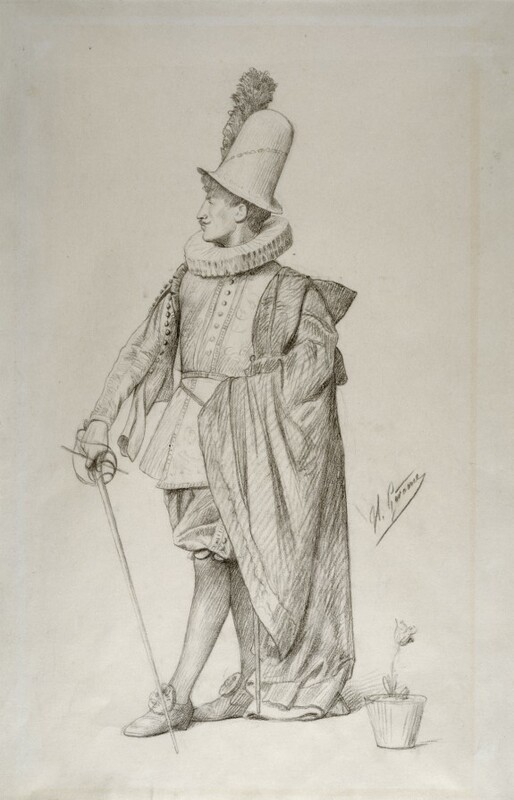 The sale of such drawings was a common marketing strategy among artists throughout the 19th century, and Gérôme was a master of it. Provenance Galerie Mazarini, Lyon; Walters Art Museum, May 2001, by purchase.